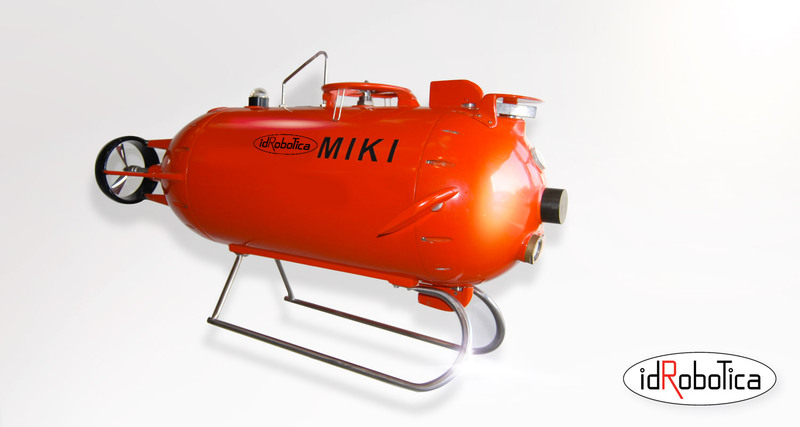 MIKI is a small size disposable underwater ROV for MINE HUNTING, identification and destruction. MIKI is the latest generation of Naval ROV (Remotely Operated Vehicle) designed for sea mine countermeasures, intended to be sacrificial, meaning that in case of positive mine identification and following to the pilot decision, MIKI can be exploded together with the mine. MIKI satisfies the requirement of rapid mine clearance in crisis situations. MIKI is then a single role vehicle that can stand besides the PLUTO PLUS and PLUTO GIGAS to complete the equipment of a typical minehunter ship.